| SHARAN'S SAMAYALARAI |: A milestone : 1,000 likes on Facebook ! 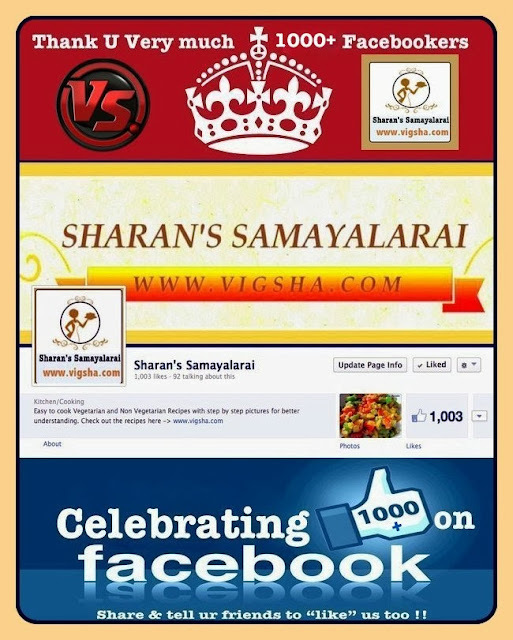 "Sharan's Samayalarai" Thanks everyone for helping us reach 1000 likes! This is a nice number, which is a great feedback. 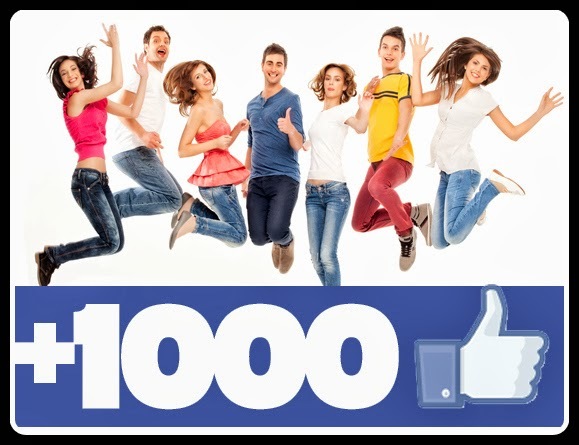 It makes me feel so excited about hitting the 1,000-Like milestone on our Facebook Page. So thank you, you mighty 1,000 . 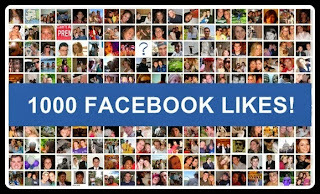 I'm glad and hope that you continue to visit "www.vigsha.com" and let others know how much you “like” ! I have a lot more innovative recipes in store in the coming months so stay tuned ! I can't wait to see what the future has in store. Will do my best to inspire you more! Together with the support of my family, friends and loved ones...We finally reached my goal and looking forward for more. This has been an uphill climb for me since I started blogging, and I truly appreciate that you clicked on that thumbs up button. You gave the reason to continue and the motivation to move straight forward. The support and feedback over the last few months has been amazing. Once more you are All the best! Thank you very much! Hoping to inspire more and more people around the globe. 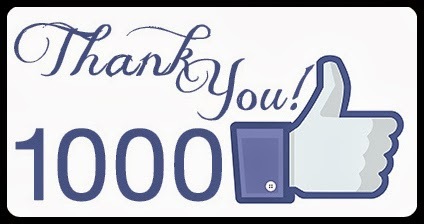 This is really soooo awesome and we hope to reach more and more fans on Facebook. 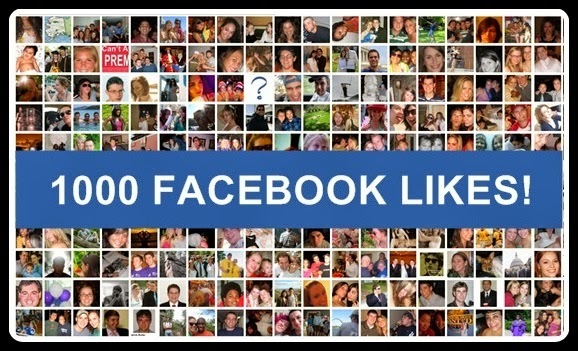 If you haven't already "liked" it yet and want to see what I've been up to please do so, the more the merrier I would like to thank all of you who have supported me along the way, to every single person who follows my blog one way or another. I really appreciate it and it means a lot to me!